Watch The 100 Season 4 Episode 5 Online and see Clarke attempt to negotiate with Roan, while Abby and Jackson deal with an unforeseen complication at the lab. Watch The 100 Season 4 Episode 5 Online, in which Clarke and Roan come head-to-head over Roan's attention to seize Arkadia for his own. Meanwhile, Raven's new skills come in handy when it comes to creating new nightblood in Becca's old lab. 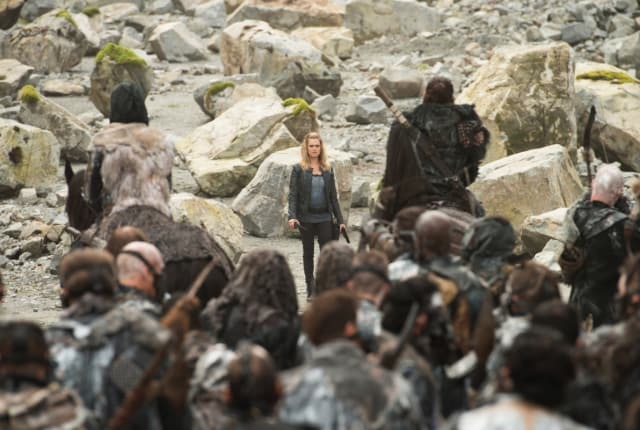 On The 100 Season 4 Episode 5, Clarke makes a desperate plea with a former allied force in an attempt to avoid a war and ensure the survival of her people.